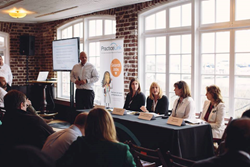 PracticeLink to Host a Career Advancement Workshop and Job Fair in Washington, D.C. Both training and practicing physicians who are looking for new opportunities can learn the answers to these questions and more at the PracticeLink Physician Career Advancement Workshop and Job Fair on Tuesday, April 21, 2015. The drop-in Job Fair is from 5:30 to 8:30 p.m. at the Washington Marriott-Georgetown at 1221 22nd Street Northwest, Washington D.C. 20037. The Workshop begins at 6:30. To register for the event, visit PL.PracticeLink.com/jobfairs/WashingtonDC.